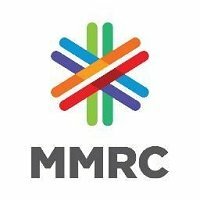 Community Development Assistant Vacancy – Last Date 18 March 2019 (Mumbai, Maharashtra), Mumbai Metro Rail Corporation Limited (MMRCL) recruits Community Development Assistant posts. MSW experienced candidates can apply. Mandatory: Supervisor working in Central /State Govt. / PSU’s / CPSU’s /Autonomous Bodies in the Grade Pay of Rs. 4,200/- or  Total minimum 03 years of experience in Rs. 10,170-18,500/- (pre-revision) in IDA pay scale with minimum 02 years post qualification experience in “desirable” domain for the post; or  Candidate should have minimum 08 years of post-qualification work experience with reputed institutions in the field of social development particularly in urban development.  Candidate must have knowledge of Rehabilitation & Resettlement (R&R) in large scale Govt infrastructure projects / Metro Rail Projects. Desirable: Candidates with experience in Govt. sector/ Public sector companies/ Large scale infrastructure Projects / Metro rail companies will be preferred.